Webcam "Weather Webcam Almansa "
In Almansa, there is the Webcam Weather Almansa . The webcam Almansa is regularly updated with new pictures. Track the current weather in Almansa with the webcam ALMANSA. 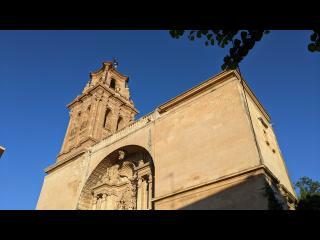 Weather Webcam Albacete (Almansa): Keep up with the time-lapse weather Webcam Live the weather Albacete (Almansa). Weather Webcam meteorológica enfocada al "Parque de Los Coloma" en la ciudad de Almansa (Albacete - España). Albacete is a Spanish province in the Autonomous Region of Castilla-La Mancha. Albacete is located in the southeastern part of the central plateau. Capital of Albacete is the same Albacete. In Albacete has a continental climate with distinct extremes: there are very cold winters and very hot summers. The climate is dry, except in the mountainous south. The Albacete province bordered to the north of Cuenca, in the east on Valencia and Alicante, on the south by Murcia and Granada and to the west by Jaén and Ciudad Real. The current live Weather for Almansa is provided by netatmo.